Yes, I know it’s been a while since Bonfire Night, but Owl took the photos of the fireworks and I promised they would feature in a blog post, so here it is! 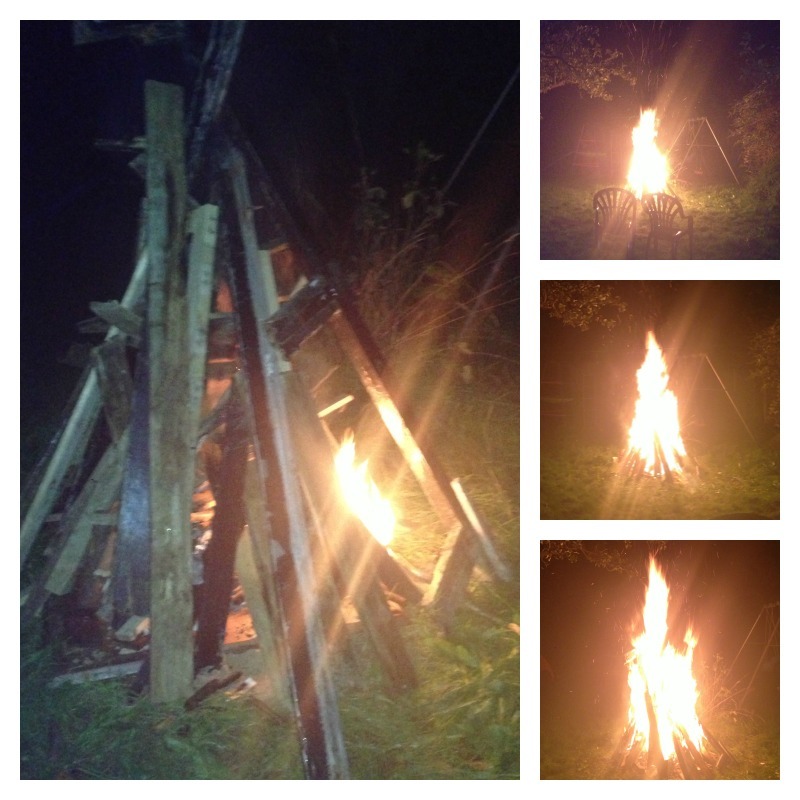 We had our bonfire on Sunday 3rd November, and we invited some friends and Paul’s mum over as we do every year. 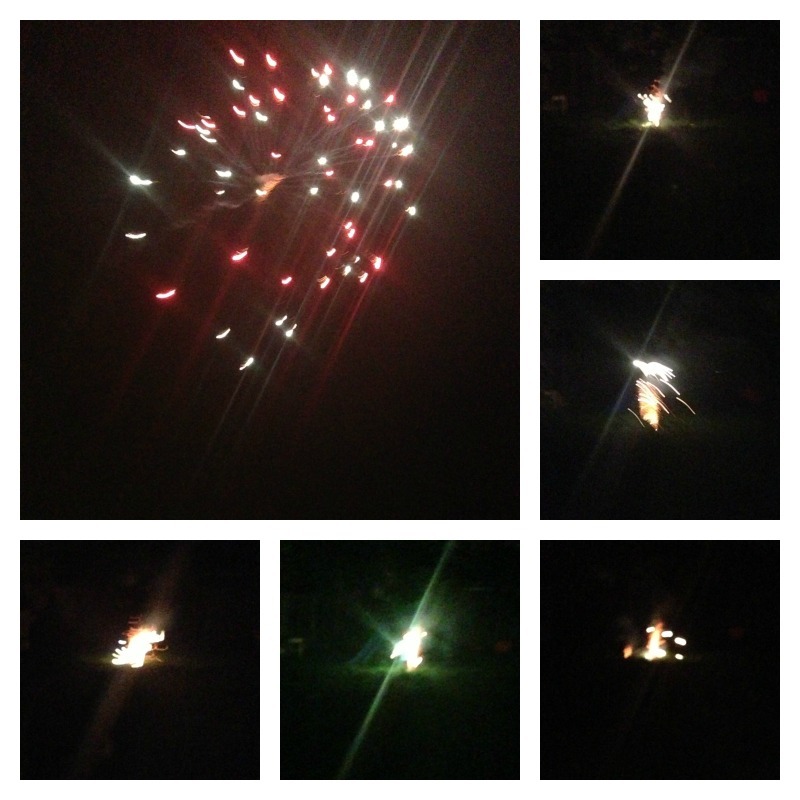 We started with the fireworks, and as I’m not a fan I let Owl have my phone to take photos while I stayed in the kitchen cooking the supper! 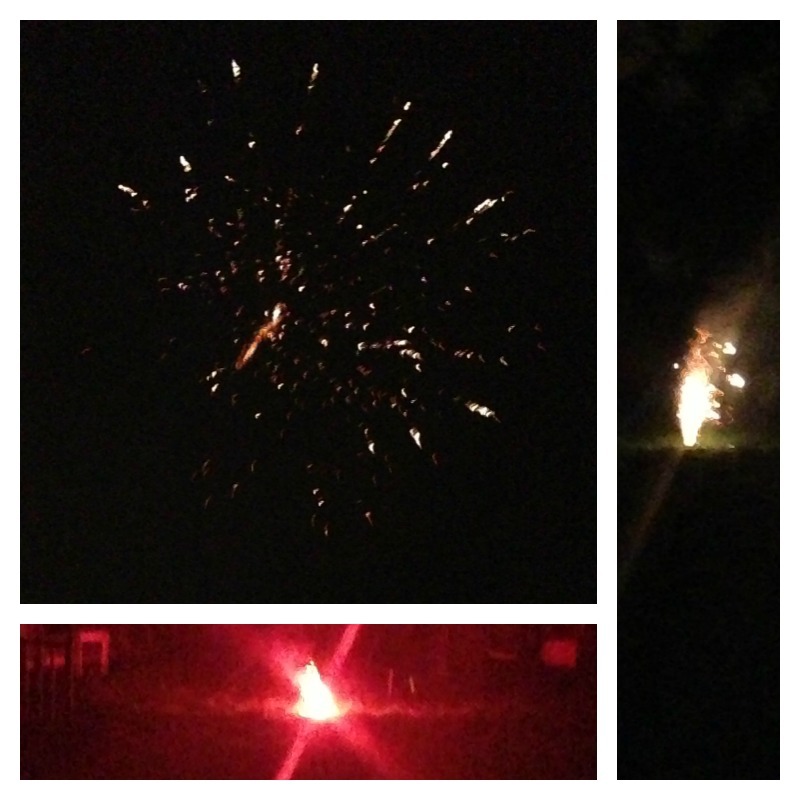 After the fireworks, we had supper – baked potatoes and sausage casserole, followed by stewed apple and custard – with some of us sitting outside by the bonfire and some of us inside. We finished the evening indoors watching the Strictly results show, and eating toasted marshmallows. 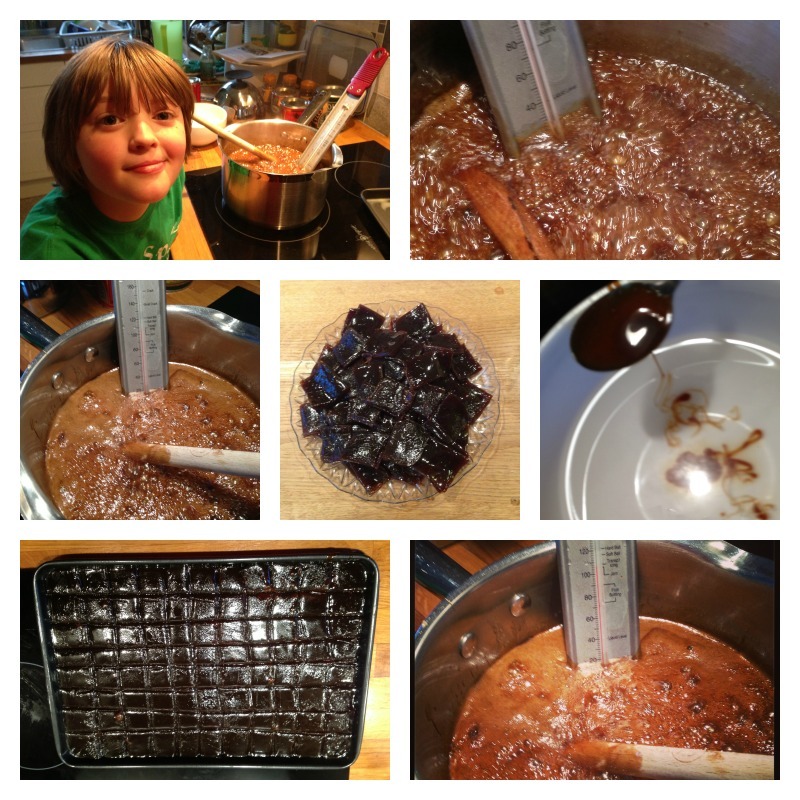 On Tuesday 5th, the children were a little disappointed that they couldn’t have another bonfire, but Owl and I made treacle toffee and our friends came round again. 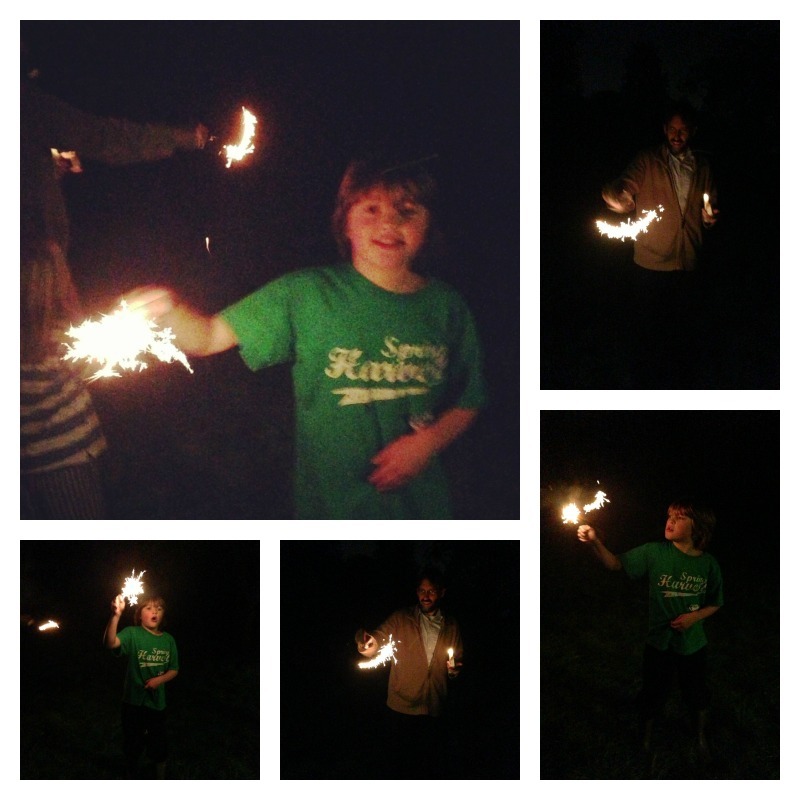 We had sparklers in the garden, which made up for the lack of bonfire. On Thursday night, the big boys also went with daddy to their Beavers and Cubs bonfire night and had a brilliant time. 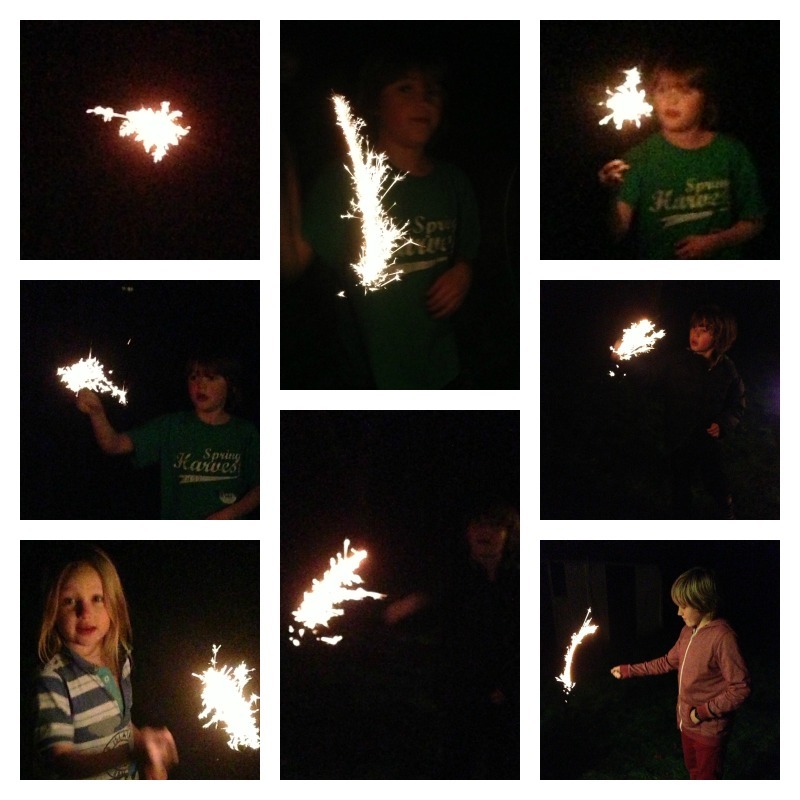 This entry was posted in Family life and tagged bonfire night, Fireworks, sparklers, toffee on November 13, 2013 by Hannah.